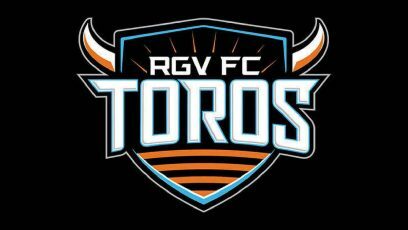 After two skillful strikes, a pair of costly errors and one hotly contested officiating decision, the RGV FC Toros left their match against the Fresno FC Foxes with a 2-2 draw on Wednesday at Chukchansi Park in Fresno, California. The result moves RGV FC to 1-3-4 on the season, while Fresno is 2-2-6. The Toros return to action when they host San Antonio FC at 7:30 p.m. Saturday. Fresno scored the first goal of the match in the 30th minute. Alex Cooper triggered a cross from near the byline on the left side, and his pass deflected into RGV’s net off defender Conor Donovan. The own goal was the second of the year for Donovan, who inadvertently tallied in the 92nd minute of a 2-2 draw against Sacramento Republic FC on March 31. The Foxes’ second goal also followed a Toros’ miscue. Off a restart near midfield, Kai Greene and Donovan were unable to link up on a short pass, resulting in a two-on-one rush in Fresno’s favor. Cooper finished the play by scoring a first-touch shot from the left side of the penalty box in the 61st minute for a 2-1 advantage. The goal was a quick response to RGV’s first strike, which came in the 51st minute. Off a long goal kick from Nico Corti, Aldo Quintanilla sent a pass to Jesus Enriquez on the left wing. Enriquez dribbled to his right, crossing just inside the penalty box, and unleashed a curling shot into the upper-right corner of the net for his first goal of the season. Jordan Jones appeared to score the equalizer for RGV FC in the 67th minute, just moments after he entered the game as a substitute. Corti sent a free kick the length of the field, and Jones sprinted past the Fresno defense before poking the ball around the charging keeper. As he moved to track down the loose ball in the penalty area, he became tangled with Fresno’s Mickey Daly, and the ball deflected off Daly and rolled into the net as both players fell to the turf. The officials ruled that Jones fouled Daly on the collision. The Toros found the true equalizer in the 73rd minute. After Nicolas Perea sent a header forward from the midfield, Jones took possession and played the ball to Quintanilla, who had split Fresno’s defense. Quintanilla converted his one-on-one opportunity against the Fresno keeper for his team-leading third goal of the year. RGV also created the night’s most dangerous miss, as Matias Zaldivar sent a free kick off the right post from about 25 yards in the 8th minute. For the game, Fresno attempted 10 corners compared to RGV’s four. The Foxes also fired 17 shots and five on target compared to eight shots with two on target for the Toros.